Rob Bowman is the envy of every music journalist in the world. 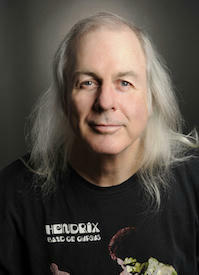 He got his start interviewing the likes of Frank Zappa and Pink Floyd when he was still a high school student in Toronto and, since then, his Grammy-winning career as one of the most respected music journalists and historians in the business has seen him interview just about everyone under the sun, in addition to being a music scholar at York University. In this interview, Rob recalls how he got his start interviewing rock stars when he was just 15, how he’s able to get folks like Mick Jagger and Lou Reed to sit down for the longest interviews of their careers, challenging Robbie Robertson on The Band’s history, criticisms of the Rock and Roll Hall of Fame (for which Rob writes the program and conducts the archival interviews with every inductee), the biggest “pinch-me” moments of his career, and much more.